This classic book by Robert Coleman is a deep and insightful study into the life of Christ and his strategy for world evangelism. It looks at the reasons behind his various ministry choices, and extracts the underlying principles that drove His ministry. 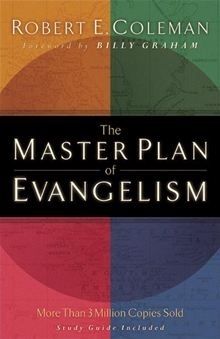 If you have never read this book, it may change your thinking forever about the great commission. Highly recommended for all who are serious about making disciples for Christ. As the book brings out: "The world is desperately seeking someone to follow. That they will follow someone is certain, but will that person be one who knows the ways of Christ or will he or she be one like themselves leading them only on into greater distress?" Available from FAST for $13.00.